Originating from ancient China, acupuncture is a traditional technique for pain relief. A series of acupuncture sessions can be used to treat different illnesses such as pain, asthma, and nausea. Our experts use this technique to deliver promising results in a short time. Here is how much acupuncture cost in Dubai. Please continue reading to learn more. The acupuncture is no longer just a Chinese technique. You can find it in all areas in the world. It has become famous due to its effectiveness. This unique technique can treat different medical and mental conditions. The FDA has approved it because it offers good results and involves no risks. The treatment starts with an appointment where a professional tries to understand the problem and guides the person about the technique. Some professionals charge a fee for the initial consultation while some professionals do not charge for the initial appointment. The first consultation sessions last from 30 minutes to 40 minutes. The professional checks the problem of the person and asks questions about the medical history. Most of the acupuncturists set a price for one acupuncture session. The total price for the treatment is calculated by identifying the total number of acupuncture sessions that person needs. Like any other place in the world, the acupuncture cost in Dubai is defined by different factors. First of all, the cost depends on your geographic location because professionals charge a different fee in different areas. The cost might be higher in Dubai as compared to Sharjah. Secondly, most of the acupuncturists set a price for one session; the more session a person needs, the more she or he has to pay. Moreover, the cost also depends on the office or clinic where you take the treatment. If it is a hospital or clinic, the cost of the treatment may be a bit higher than the individual practitioner’s fee who is working out of an office. Some people have a minor problem and they may pay a small price. On the other hand, the people with severe problems will be paying more. Some professionals deliver short sessions to patients and they may charge a less fee. As mentioned above, the cost of acupuncture in Dubai depends on different variable factors. In Dubai, an initial consultation with a qualified and experienced acupuncturists costs from $75 to $95 (or 275 AED to 350 AED). Once a person sees an acupuncturist in the initial appointment, the subsequent sessions cost from $50 to $70 (or 183 AED to 257 AED). The Euromed Clinic Center Dubai has the best acupuncturists in Dubai. A large number of people visit us every month to take this treatment. The success rate is quite high but the price of the treatment is not high. We offer effective and safe acupuncture sessions at a reasonable cost. Contact now to know the exact cost. Are you ready to get wonderful results? Have you got more question? Our acupuncturists in Dubai would love to answer. Book your appointment now. 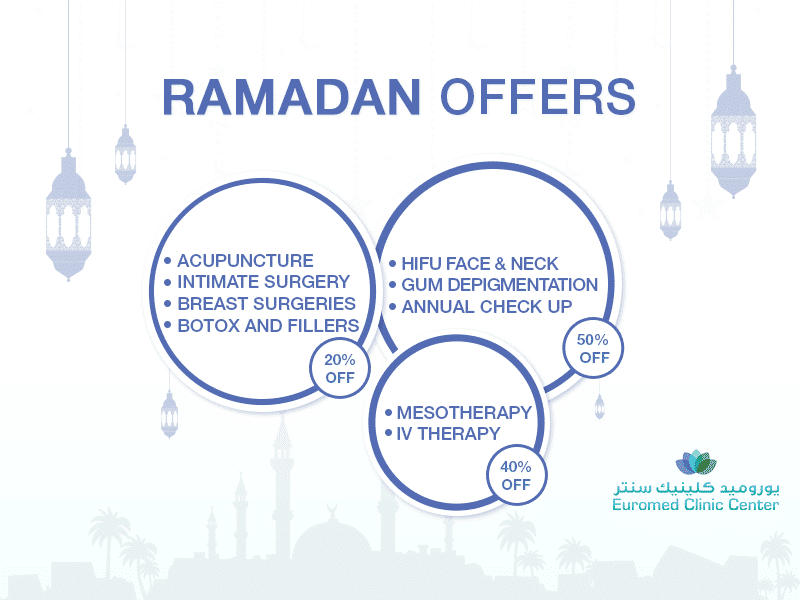 If you want to take acupuncture in Dubai, the Euromed Clinic Center Dubai is the right option. Our experts can deliver guaranteed results in a short time. Please do not hesitate to get in touch with us if you need to know more. Please call us or fill the short online form to book a consultation session with one of our experts. You can use our chat box to start a quick chat.